Having recently sampled the village baker's traditional baguette in La Borne, Menetou-Salon, Bourges, Henrichemont and a few others, I'm back on the trail with the biggest challenge being I'm making a couple in a home oven vs big batch in a commercial oven. My thinking lately has still been with covered baking in order to get a crackly crust, but instead of an inverted pan, I'm switching to keeping the bread in the pan similar to the dutch oven variant. However, a baguette is a little trickier since there aren't many 20"+ cast iron pans. I can't even find a 20" pullman. Anyway, just a couple photo notes. 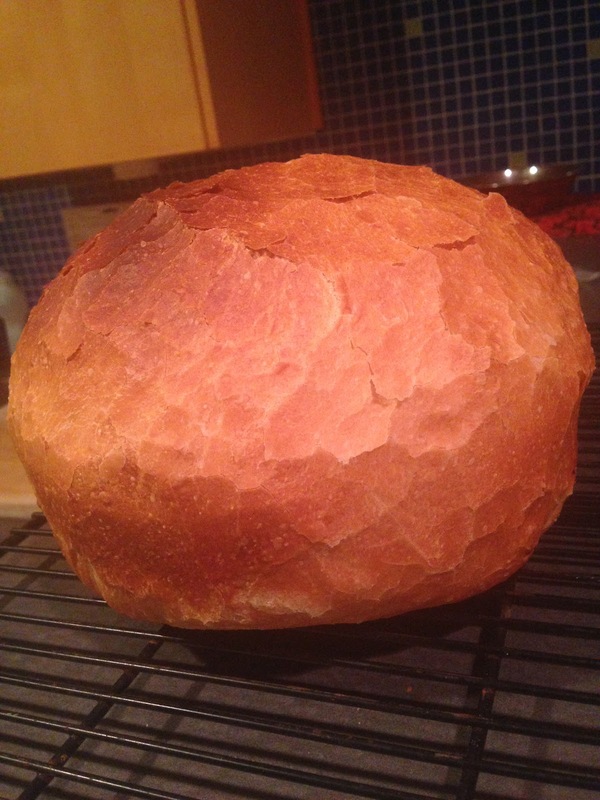 Crackly yeasted boule from Dutch oven. Cooking in an aluminum tube capped with foil. I slid out the par baked loaf and let it crisp in convection. Logistically a pain, but the bread showed pretty good volume.